Back in the day, Motorola phones (or Moto as it is called nowadays) were all the rage. Owning a RAZR flip phone or a SLVR phone back then guaranteed one’s coolness. Though when smartphones became more popular, Moto took a bit of a back seat. They even stopped having any official presence in the country’s consumer market. But now Moto is back, and this time they brought out not one, but three smartphone lines during their launch event last October 20 at City of Dream Manila. The models are namely: The flagship Moto Z and the Moto Z play, both of which feature a unique modular function through the new Moto Mods; the midrange Moto G family; and the entry-level Moto E power. Moto’s new flagship, the Moto Z features a 5.5” Quad HD AMOLED display, a Qualcomm Snapdragon 820, 4GB of RAM, and 64GB of internal storage, along with an SD card slot which supports up to a whopping 2TB. It manages to pack these in a slim 5.2mm body. The phone retails at Php33,999. The more midrange Moto Z Play meanwhile packs a 5.5” 1080p Super AMMOLED display, a Qualcomm Snapdragon 625, 3GB of RAM, and 32GB of internal storage, which is also expandable up to 2TB. While a bit thicker than the Z, the Z Play has a 3510mAh battery which has a battery life of up to 50 hours with mixed usage. The model retails for Php22,999. While the Moto Z family offers good specs for their price, their most exciting feature is certainly their modularity with the new Moto Mods. The Moto Mods are add-ons that can boost the Moto Z/Z Play’s functionality. The best thing about them is that they just easily snap on to the phone’s back, and can be used without the need to power off the device. Hasselblad Ture Zoom Camera: This Hasselblad mod offers a 12MP sensor and 10x optical zoom for photography enthusiasts that look for a better camera. The mod retails at Php14,099. Moto Style Shell: The last mod is a back shell with different materials, namely ballistic nylon, wood, and leather. The Herringbone and Crimson Nylon shells retail at Php699, while the Black Leather shell costs Php999. A Moto Style shell will be included in every purchase of the Moto Z/Moto Z Play. The first of the Moto G family is the Moto G4 Plus. It features a 5.5” Full HD display, a Qualcomm Snapdragon 617, 3GB RAM, 32GB internal storage, and is expandable up to 128GB. This model is priced at Php13,999. The other models from the Moto G family are carrier exclusives, with the G4 Play being available with the Smart SurfPlus Plan 999 and G Turbo edition which is exclusive to Globe’s MyLifeSyle Plan 799. 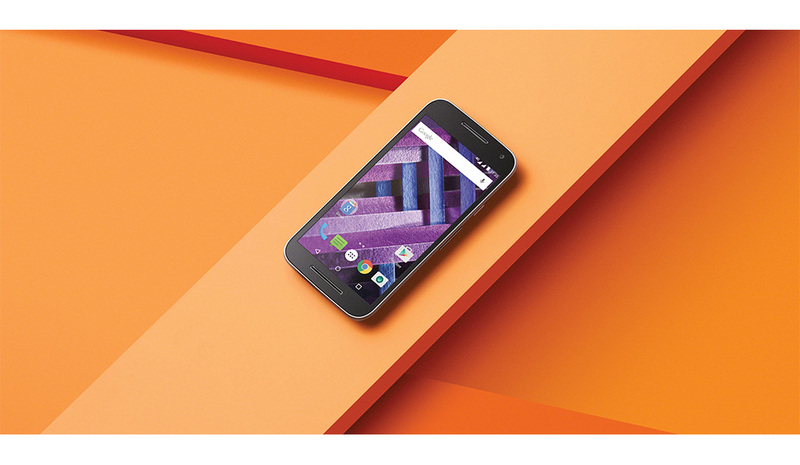 The last phone in Moto’s lineup is the entry-level Moto E Power. It’s priced at a low Php6,999, so don’t expect too much in terms of performance. Though it does feature a 3500mAh battery, a MediaTek processor, and 4G capabilities. The Moto launch event not only showcased their new smartphone lineup, the new Moto ambassadors were also introduced, namely James Reid and Nadine Lustre. It comes as no surprise that Moto chose the JaDine love team as the brand ambassadors as they are one of the most popular celebrity couples (well they’re also a real couple). The Moto Z Family is available now at select MemoXpress and Silicon Valley stores (SM North EDSA, SM Megamall, and SM Mall of Asia). They are also available with selected mods in the Globe Plans 1499, 2299, and 2399. There is also a special launch deal where buyers of the Moto Z or Moto Z Play from October 21-23 will get a free JBL Soundboost Speaker mod. The promo is available in the listed MX and Silicon Valley outlets, and also in the Moto Official store in Lazada.